As technology has advanced, numerous industries have been significantly impacted, and the financial services business is no different. Funds were once looking into the future when thinking about addressing issues such as disruptive technology, changing investor expectations and adapting their efforts. However, these once-future issues are now “front and center for all alternative managers to deal with today,” according to Ernst & Young’s 2018 Global Alternative Fund Survey. 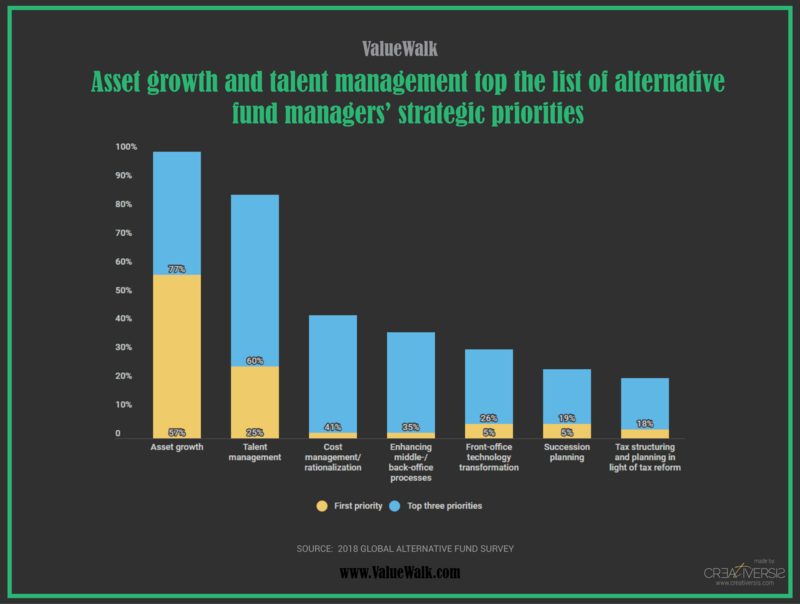 After asset growth, the second priority of alternative fund managers was found to be talent management. According to EY, this marks a significant change from previous years. The firm believes changes in product development and disruptive technology are having major impacts on how the asset management industry operates. Funds now require new skill sets for the digital age, so managers have been focusing on making sure they have these skills covered among their talent. EY also wanted to find out if alternative assets are still in favor among investors. Countless studies and surveys have pointed to the growth of passive investing. The firm explained that this trend has caused passive investment products to proliferate, spurred onward by strong performance from passive products. EY also found that while investors are maintaining diversity in their portfolio’s alternative assets, hedge funds are far ahead of other alternatives, followed by real estate and private equity. According to the firm, private equity is growing quickly as a percentage of investor portfolios. In fact, EY found that allocations to private equity seem to be growing faster than allocations to each of the other categories. Looking into future years, investors expect their hedge fund allocations to remain flat, according to the survey. 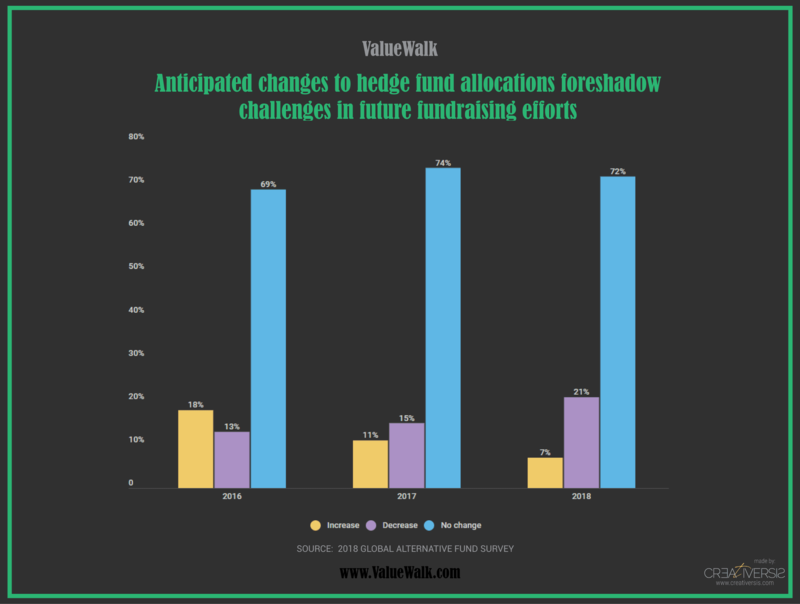 However, the survey also indicated that the vast majority of investors who plan to change their allocations to hedge funds expect to decrease them rather than increase. EY cited the lackluster performance of active managers as a major factor in this trend. More and more investors are finding it difficult to justify the higher fees of active funds because their returns have been weak. Additionally, the firm noted that hedge funds already made up a significant percentage of portfolios, which means investors have been focused on their returns. 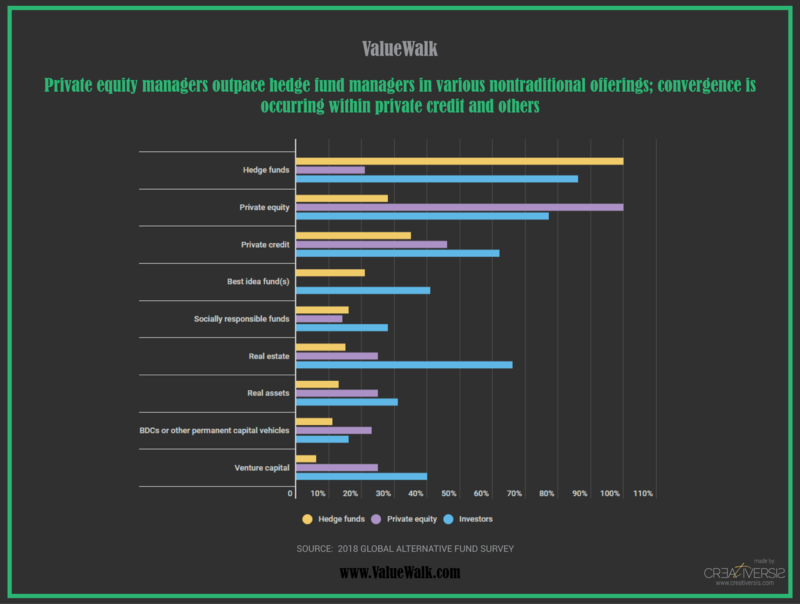 The survey also identified a major concern for hedge fund managers. Most managers are seeing their 12-month net flows come in “far below their budgets.” Additionally, EY said fund managers with more than $10 billion in assets are attracting the most inflows by leveraging their scale. EY’s survey found that a third of investors are planning on increasing their private equity allocations in the next few years, and only one-tenth expect to cut back on private equity. The EY survey delved even deeper into the trends which are drawing more and more investors to private equity. For example, the firm found a strong receptiveness to investor demands among private equity managers, relative to hedge fund managers. Nearly 60% of private equity managers reported using new products to grow their assets. Hedge fund managers are running in the complete opposite direction as 55% say they’re focusing only on their current strategy rather than launching new products. This trend is also clear when looking at the types of alternative funds being created. 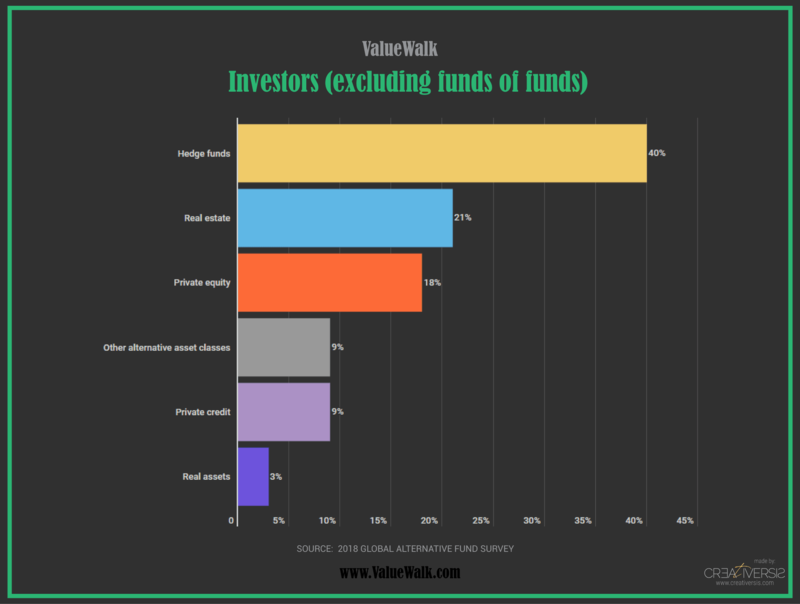 According to EY, private equity managers are “significantly outpacing” hedge funds in bringing a variety of other alternative products to the market. Among the additions are illiquid credit, real estate, real assets, venture capital and business development companies. 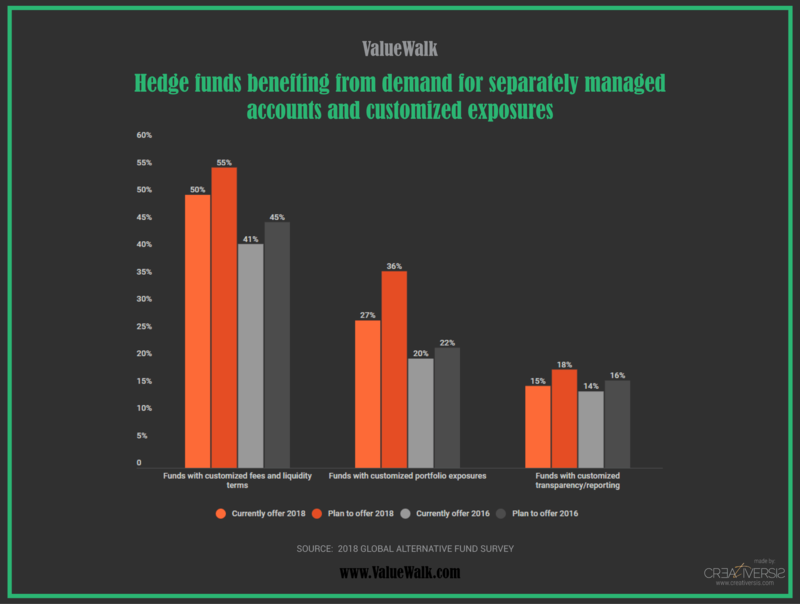 Additionally, EY said in some cases, hedge funds and private equity funds are facing off with each other in an attempt to provide similar products rather than targeting two different types of customer as they once did. The story isn’t entirely in private equity funds’ favor, however. 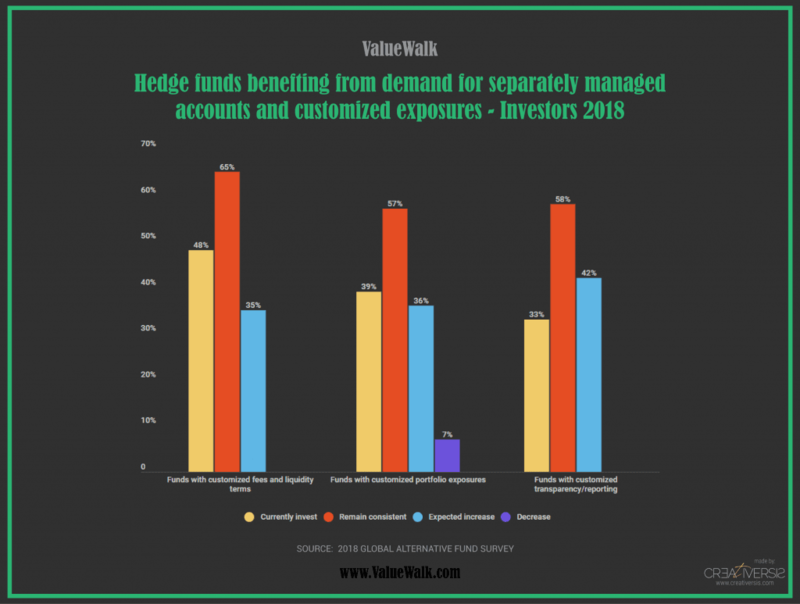 There is one place hedge funds are beating PE in, and that’s in fulfilling investor demand for customization. Here are the customization categories most in demand from investors.